At Appyness, we tailor unique solutions to service our app clients. From managing acquisition channels through the app stores to localizing and distributing apps worldwide, we help drive revenue through a variety of channels while also maximizing revenue. Learn more about a few of our custom mobile app marketing services below. You need users. We’ll get them for you. We specialize in driving quality organic and paid installs, while keeping your target ROI goals in mind. We can help you drive organic installs through App Store Optimization (ASO) or paid installs through a variety of networks, including AdWords, Facebook, Twitter, as well as third-party app stores and DSPs, all while maximizing cost per installs. 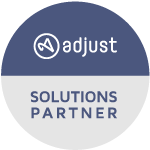 From driving organic installs in the USA to managing CPI campaigns in China, Appyness can help you maximize your budget. You have acquired the customers and you need to engage them. That is where Appyness steps in. Whether it’s building highly segmented remarking campaigns, or creating effective push and in-app message campaigns to generate action and app usage, our custom programs not only get your app users engaged again, but also generate additional revenue from your existing user pool. Is your app in multiple languages? Are you looking to distribute and acquire users outside of Tier 1 English countries? At Appyness we have extensive experience marketing multilingual apps worldwide. Whether you're looking to localize your app for users in China, or looking to get preloaded on mobile phone devices in Russia, we have the relationships and partnerships to expand your revenue stream globally. Your digital presence extends beyond app stores. Channels such as SEO and PPC play a vital role in today's digital world and can be successfully used to generate installs and signups through your website. The Appyness team has extensive experience with creating and managing international SEO strategies in over 70 countries. In addition, our Google AdWords Certified professionals can create granular and highly targeted paid search campaigns to extend revenue channels beyond your mobile app.